If you want to have fun by the sea while in Fort Lauderdale you should pick a sunny day and pack your lotion and towel and head down to the fantastic Fort Lauderdale Beaches. Life is a beach and it one of the best and cheapest attractions in Fort Lauderdale young or old you will have a great time. 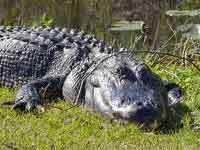 This is a natural wilderness within easy driving distance of Fort Lauderdale if you like the outdoors and want to visit a location where you can see nature in all it's glory why not visit The Everglades. Here you can walk and take in a landscape very different to Fort Lauderdale that has animals and plant life that will take your breath away. 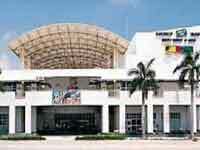 For those people that want to learn something while in Fort Lauderdale a fantastic attraction that delves in to the wonders of Science and delivers in an informative way is The Fort Lauderdale Museum of Discovery and Science. This is a great Museum for people of all ages and a fantastic seat of education in Fort Lauderdale which will have you walking away with fold memories and some nuggets of knowledge. If you want to see some beautiful butterflies while in Fort Lauderdale you should make the time and visit the fantastic Butterfly World. 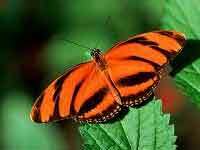 Here there are many example of wonderful butterfly species Fort Lauderdale from around the world. If you are after a varied attraction in Fort Lauderdale one that provides the arts and great shopping and a bit of culture thrown in an interesting place to go to is Las Olas Riverfront. 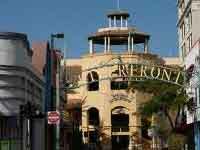 This location also has bars an restaurants that are among the most varied in Fort Lauderdale so if you want to relax and enjoy yourself, why not try here. Looking for a walk on the Wild side in Fort Lauderdale if you want to come face to face with wild animals then you should head towards the brilliant Flamingo Gardens. 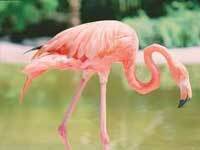 This park of Animals is a great place to visit in Fort Lauderdale go to have a magical day, why not try it out? 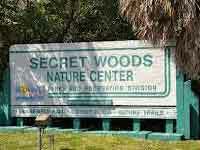 If you want to visit a fantastic park, where the people of Fort Lauderdale go to unwind and enjoy themselves the place to head to is the brilliant The Secret Woods Nature Center. Here there a wonderful landscaped gardens, walking areas, children's play areas this is such an asset to Fort Lauderdale you had happily spend a whole day taking it all in. 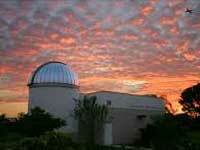 If you are the sort of person that wants to reach for the stars while in Fort Lauderdale an interesting and highly educational facility to visit is the spectacular The Buehler Planetarium & Observatory. This scientific location unravels the wonders of the Universe and brings them to Fort Lauderdale whether astronomy is a passion for you, or you want to learn more, this is a great day out. 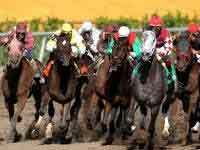 If you love the horses and wish to make a bet while in Fort Lauderdale the place to visit with your form guide is the thrilling Gulfstream Park and Casino. Here you can take in the ups and downs of horse racing in Fort Lauderdale and hopefully you will be lucky and walk away better off. 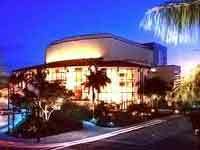 If you like the performing arts and wish to absorb something while in Fort Lauderdale why not take in a show and witness dancing and expression at the amazing and highly esteemed The Broward Center for the Performing Arts (BCPA). This is a fantastic Arts Centre, and a true asset to Fort Lauderdale it's a place to take in culture or just enjoy a coffee, either way it's worth a visit.